Our people have spoken! 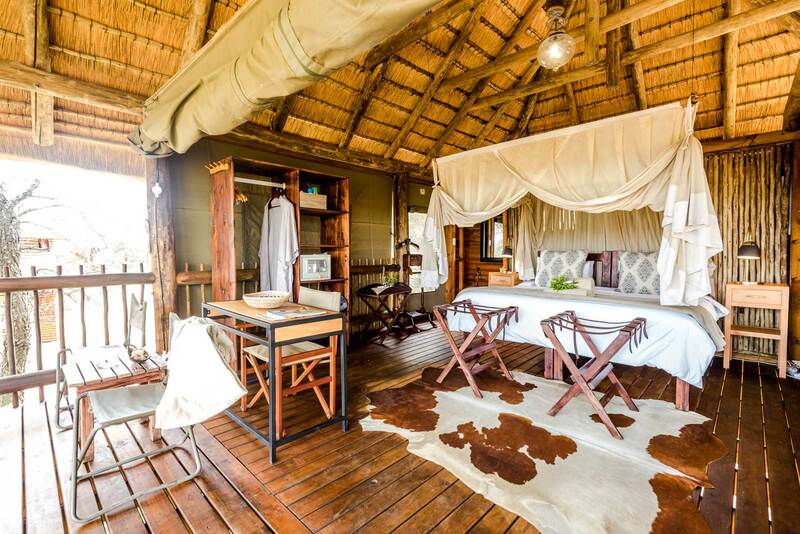 We are sharing our safari experts’ top-rated camps and lodges in the Kruger Park this week. First is Natasha Allan who has been a specialist consultant at Sun Safaris virtually since its inception and she has created some of our clients’ best African journeys ever. We’ve given Tash the task of selecting her 10 favourite Kruger safari lodges, and (in no particular order) we’re featuring them here for ease of reference for our readers and clients. 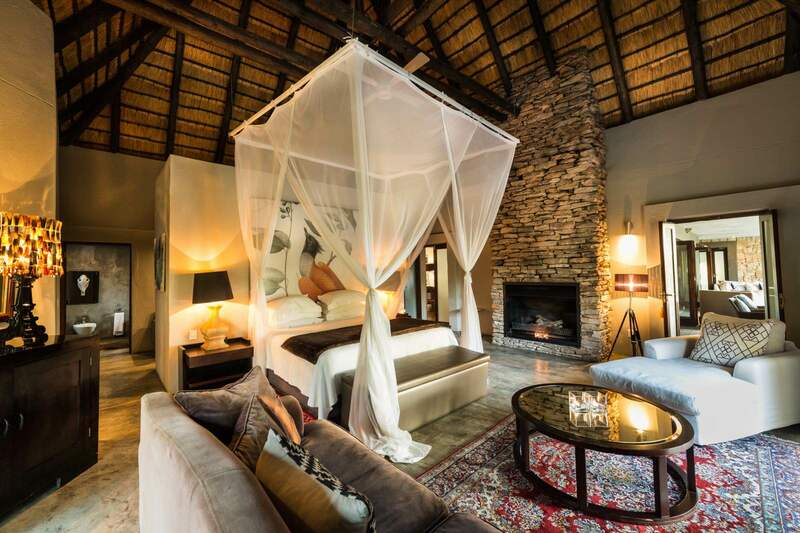 Read on to discover the first five of 10 places we consider some of the best accommodations in the Greater Kruger Park. Located in the private reserves that share unfenced borders with the famous South African national park, these Greater Kruger spots have all of the wilderness delivered to you on privately guided game drives and bush walks you’ll never forget. Part two coming soon! 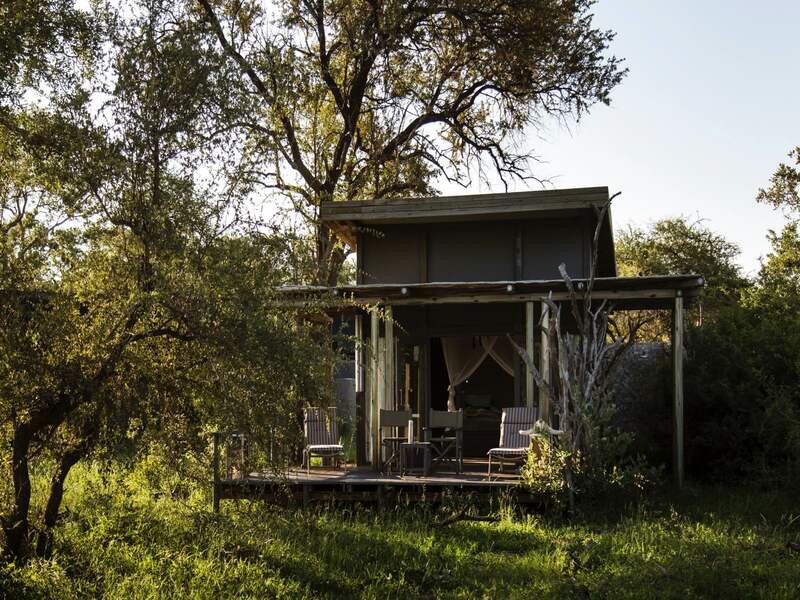 First to feature is Khoka Moya Camp in the vastly unchartered Manyeleti Game Reserve, sprawled between Sabi Sand and Timbavati, which border the Kruger National Park. 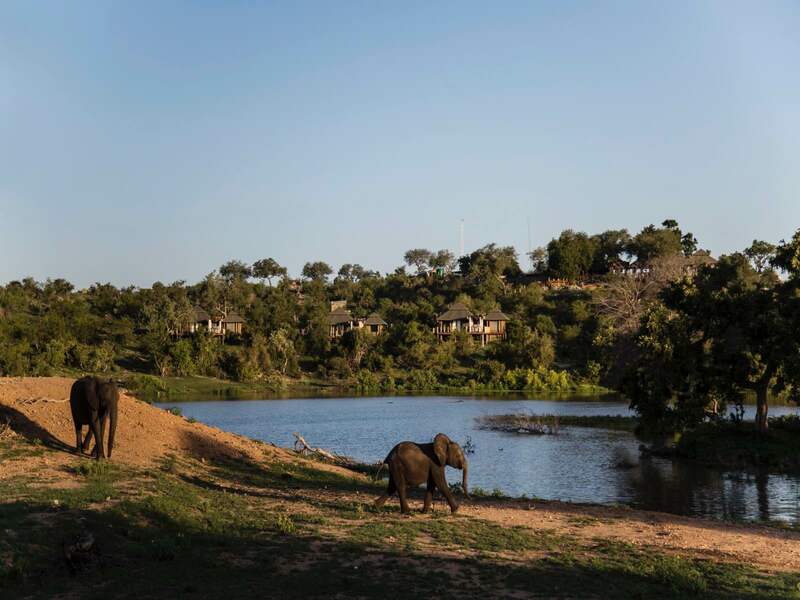 It has 15 large tented suites which straddle a peaceful riverbed, it is family-friendly, welcoming children of all ages (and offering baby-sitting services), and it is eco-friendly in its construction and its operation. You’ve got to try out the bird hide and the walking safaris in this heavenly little place! Khoka Moya has a sister camp, Mantobeni, which is located nearby also in the Manyeleti Game Reserve. It is slightly more remote than Khoka Moya, hidden in a grove of Tamboti trees where its 15 free-standing tents are raised on elevated wooden platforms (about 5 steps up from the ground). This wild and wonderful tented camp enjoys all the comforts and hospitality of Khoka Moya, but there is a minimum age limit of 12 years old. Natasha recommends both camps and they are sold at the same rate. 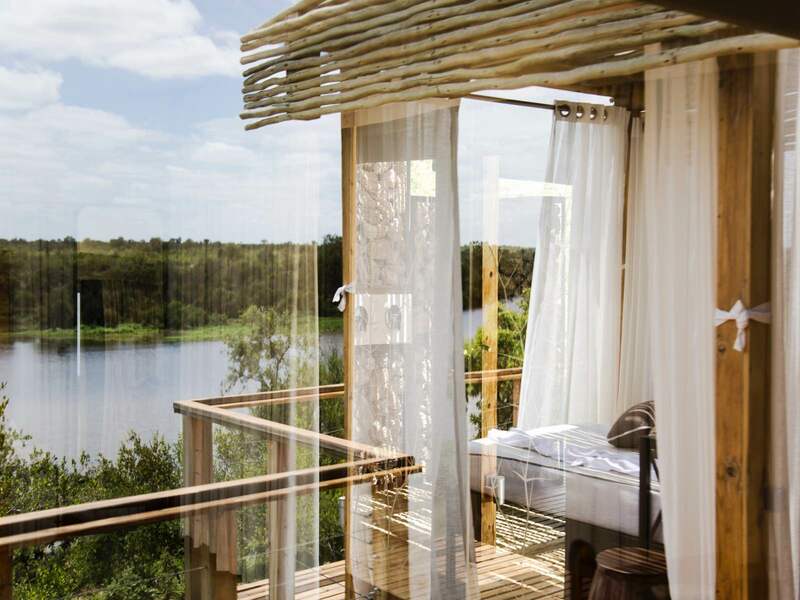 This is one of our go-tos for an affordable, romantic, and exclusive safari experience, and Natasha is quick to recommend it for adventurous honeymooners who are excited by the idea of treehouse-style chalets, positioned on wooden stilts to meet the trees at eye-level. 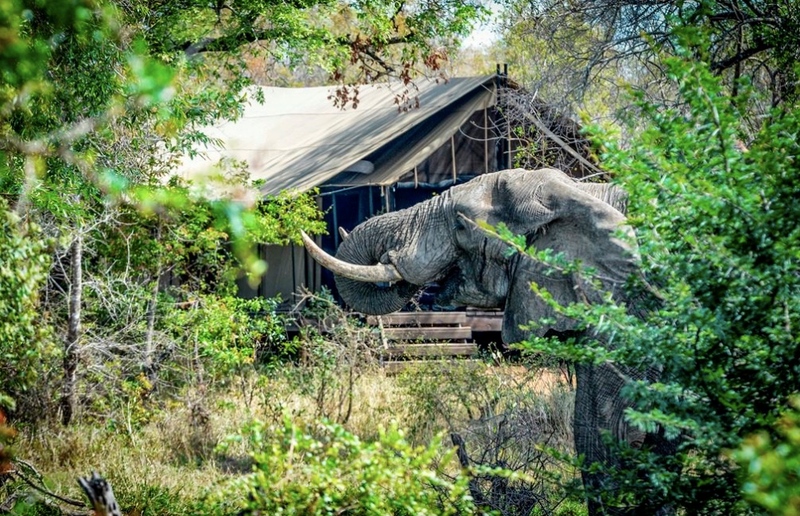 nThambo Tree Camp has only five rooms and is entirely unfenced, so wildlife – including any members of the Big Five – have the freedom to roam through the camp, drink from the ground-level plunge pool, and sleep under your room! nThambo is casual and relaxed, but it is pretty and comfortable with an undeniably romantic ambience. Plenty of natural wood and thatch make up the construction of this eco-friendly camp, and it opens up beautifully to the open plain in front. Due to the small size and affordable rate of this camp, the value for money is high and it is often booked out far in advance. We would recommend getting in touch with Natasha or anyone else on our agent team to enquire long before your desired time of travel to see if nThambo is available. 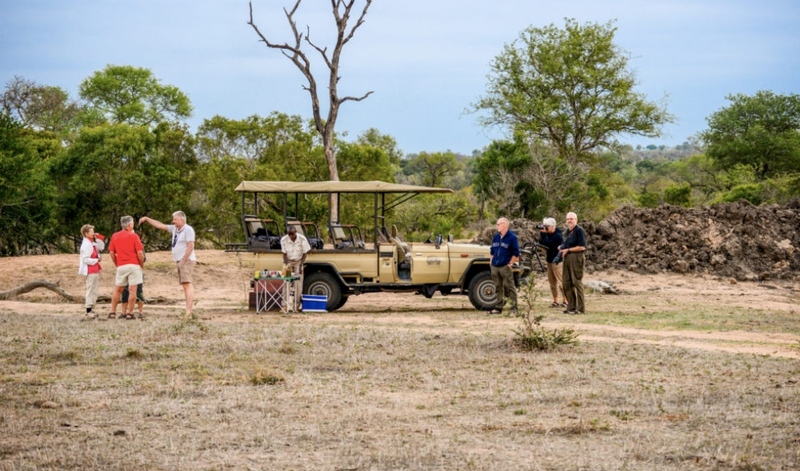 Aside from twice daily game drives, there are optional bush walks that take place after breakfast, and there is always something special on offer for the romantics! Honeymooners get a complimentary private sundowner session in the bush, and the same experience is offered to couples who would like to book it for an additional cost of R500 (±US$ 35) per couple. No children under 13 can be accommodated at nThambo, and each treehouse-style room is limited to two people sharing in either two twins or one king size bed. 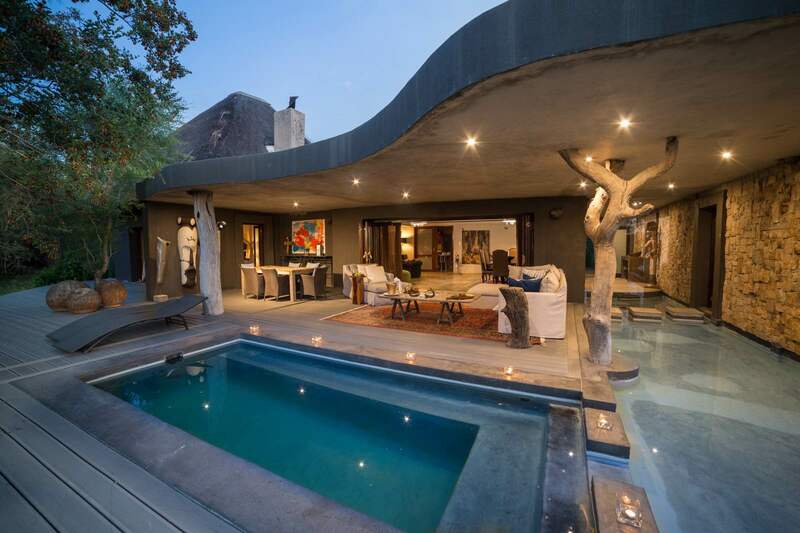 Situated in the world famous Sabi Sand – a game reserve named after its two major rivers, the Sabi and the Sand, and often referred to by those who know it as The Sands. This place produces the most incredible predator sightings in South Africa, and although the king cats – lion and leopard – are celebrated abundantly throughout the country, it is the Sabi Sand that has maintained its reputation as big cat paradise. As a result, it is a busy and highly popular reserve with many safari lodges and vehicles traversing the area. We want our guests to experience the majesty of the Sabi Sand in blissful comfort and exclusivity, so that when you’re not out on game drive photographing ultra-relaxed leopards and powerhouse coalitions of lions, you’re feeling entirely pampered and looked after. 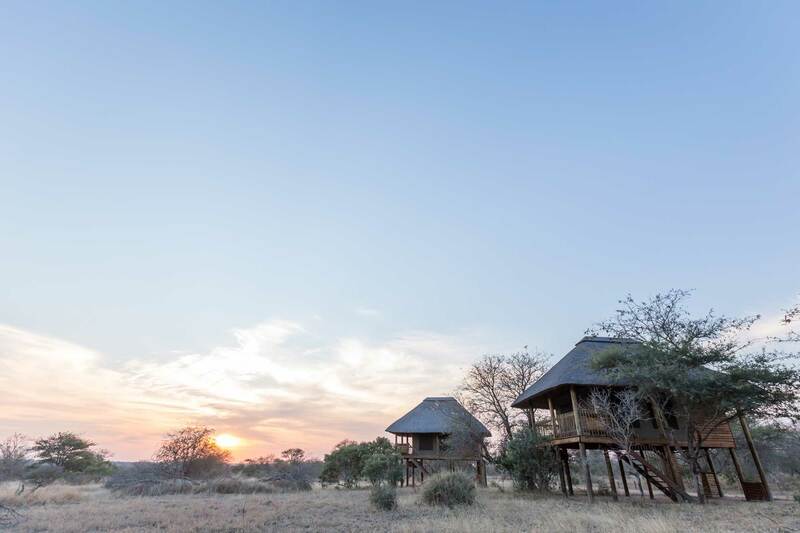 After years of experience booking guests in for their much anticipated Sabi Sand safari experiences, Natasha rates Arathusa Safari Lodge one of her top 10 lodges in the whole Kruger region. 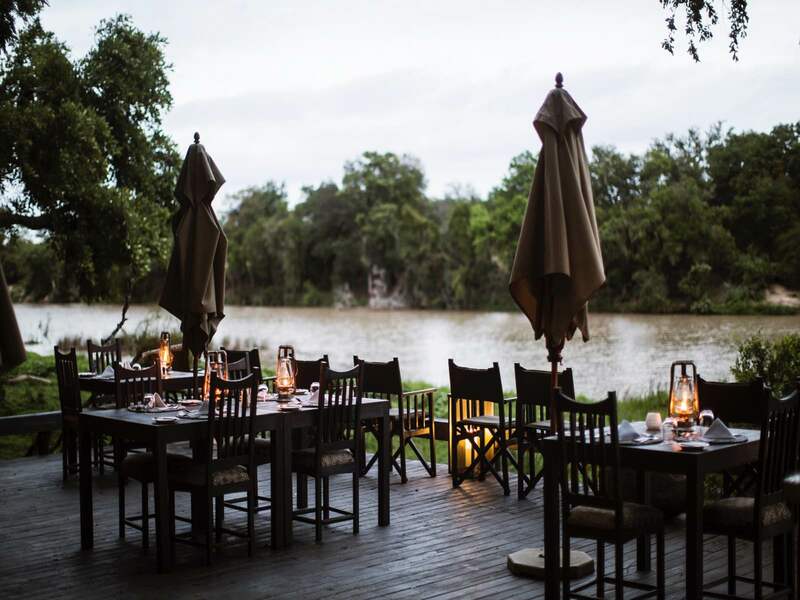 This place earns its spot on Tash’s list because it is idyllically located overlooking a large natural waterhole, inviting throngs of animals to drink at its edge. In addition, the deluxe rooms leave guests wanting for nothing with deep bath tubs, outdoor showers, four-poster comfort, and plenty of light and space. Choose between water- and bush-facing suites (each has its perks! ), and embrace the luxuriousness of the Arathusa experience. Things to know about Arathusa: No children under 12 years old; bush-facing suites have private plunge pools; there is an infinity pool in the main area; bush walks can be arranged; there is a safari spa for beauty treatments and wellness therapy. As a Mom to a little girl herself, Natasha is an expert at arranging family-orientated safaris. 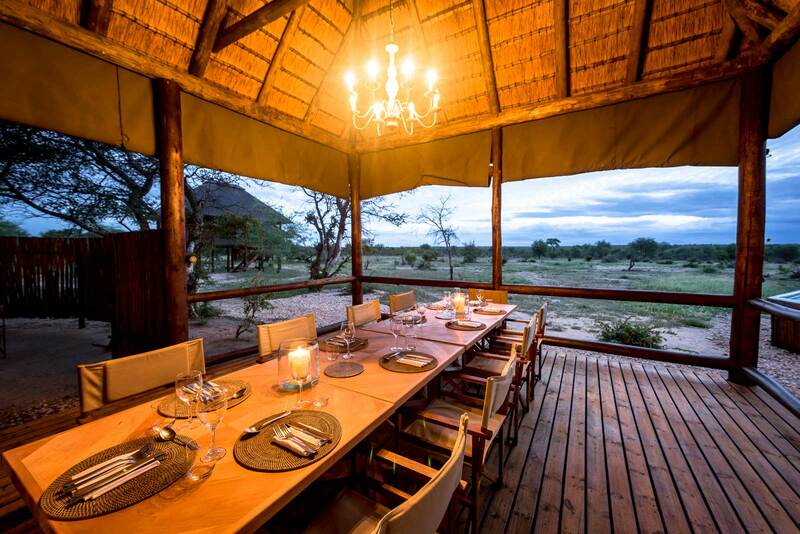 Knowing exactly the structure of a safari holiday, and understanding the needs of parents travelling with young children, Tash recommends a selection of the best family-friendly safari lodges in various African locations. 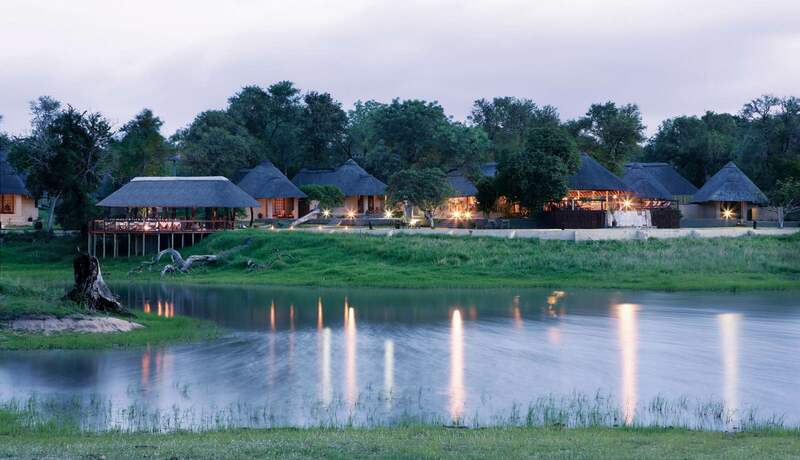 In the Kruger Park’s Timbavati Game Reserve, Simbavati River Lodge is ideal. 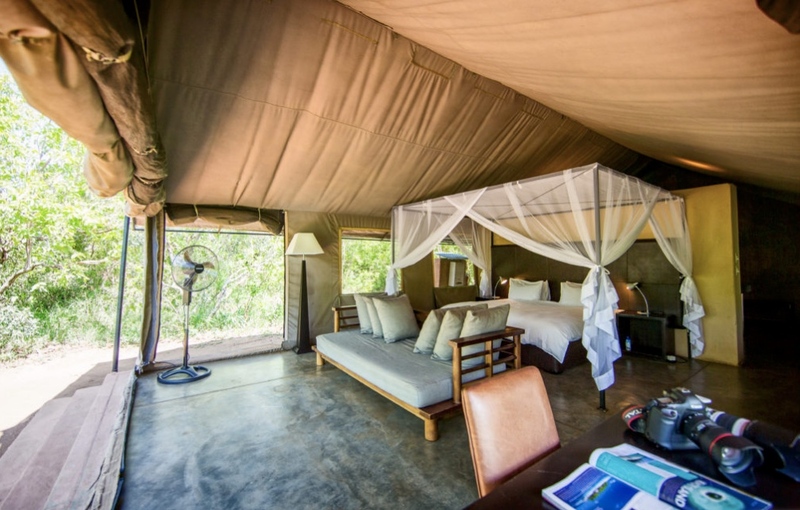 It has fantastic family suites sleeping four or five people in each, it is well priced, and the game viewing and guiding is known to be outstanding. There are kids’ activities, child-minders, and special children’s rates to accommodate families in total comfort. For the keen photographers: River Lodge has a unique focus on photographic safaris and offers a special, kitted out vehicle and private photographic guide to guests who request this special interest activity. Simbavati Hilltop Lodge is a sister property to River Lodge, and is a level up in terms of exclusivity and luxury. It is also a level up in geographical location! Perched dramatically on top of a mountain koppie, Hilltop overlooks the seasonal Nhlaralumi River (upon which River Lodge is located) and the bushveld beyond. It is sublimely decorated and designed with plenty of white and ivory tones blending with the pale, sanded wood of the extensive decks and boardwalks. This masterpiece of safari splendour is for the romance-seekers and the lovers of luxury, with a smart-casual dress code at open-air dinner appointments, soft touches of safari glamour, and a 360-degree bar! This is exclusive Sabi Sand luxury. Pulling out all the stops, Chitwa Chitwa has been the recipient of industry awards for the last 20 years and has a list of accolades that speak to the supreme service, quality, and value of a Chitwa safari. Natasha knows that there are some guests who travel with the intention of making their African safari one of utter comfort, no matter the cost. South Africa is world renowned for its luxury hotels in some of the country’s most beautiful wildlife areas, and the Sabi Sand is home to many of these deluxe options. Chitwa Suites is a collection of 6 sublime, spacious retreats, which are each individually constructed to incorporate total privacy with a view onto a great body of water. Private plunge pools, deluxe bathrooms, minibars, Wi-Fi, fireplaces, living rooms, and space for extra beds for those who are sharing this opulence with their families. (Extra beds sleep children under 12 at a discounted rate). Chitwa House is an exclusive option for groups of four (two suites) looking for a private Chitwa safari experience, none of the fuss, and all of the extras. Guests treating themselves to the Chitwa Chitwa experience can rest assured that they are contributing to eco and community initiatives supported by the Chitwa Foundation. Sustainability is at the heart of the establishment, and there are activities on offer that reflect the involvement the Chitwa family has with the surrounding environment, both cultural and conservational. 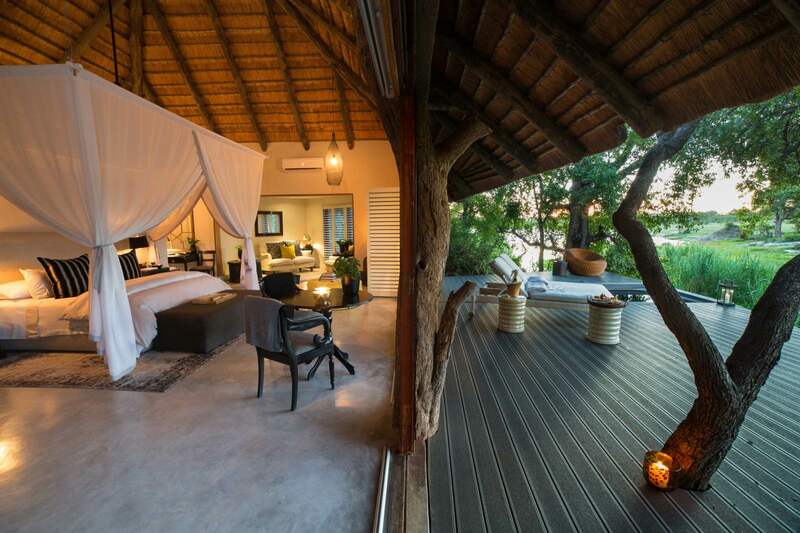 That’s it for the first half of Natasha’s top rated Kruger safari lodges. Each one offers something different – from affordable honeymoons to family-friendly safari options, and lavish exclusivity. We’ve got another five selections from Natasha’s recommendations coming up next!